Facebook founder Mark Zuckerberg created competitive advantage over other social networks by first creating a closed environment for just the students at Harvard. Competitive advantage comes from a firm's resources. Often this advantage is rooted in the very origins of the firm. At Kellogg, this is one of the first lessons we learnt in our Strategy course during the Fall quarter. For me, working on creating a startup while at business school, this lesson has taken on a whole new meaning. Southwest started life with the ambition to be the cheapest airline available. As a consequence, it developed resources (e.g. culture and processes) that meant costs were always kept low, comparative to other airlines. From the beginning, McKinsey prided itself on having consultants who were generalists - and the firm continues to have a generalist bias even as other firms use specialists to give them an edge. Before there was Facebook, many social networking sites existed. 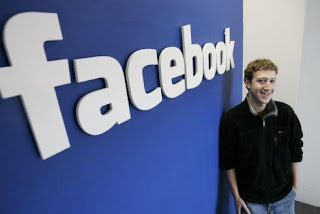 However, Facebook was the first such site where users did not feel the need to be anonymous. As a consequence, it became far easier to find your friends and keep up with what they are doing. Facebook was able to achieve this because it first started as a closed system for use within universities. Within such a closed environment, it felt safe for the s initial users to reveal their identities. By the time Facebook became public, there was a critical mass of people who felt comfortable with exposing their identities online. Facebook was able to get its user base to reveal their identities - and thus create a key differentiator - because it spawned out of closed university environments where people felt it was safe to do so. Faceboook's competitive advantage was due to the unique resources (the university environment) that it had comparative to other social networks. So, in starting up my own business, I'm utilising the resources that I have available to me at business school. I've spent a long thinking - what do I have available here that lets me build something that others can't? What is available here that let's me build something in a different way to which others have - enabling me to create some kind of competitive advantage? Perhaps it's the alumni network? Perhaps faculty? Perhaps students? Perhaps the buildings and facilities? Perhaps the student culture? As Facebook has shown, I believe the vastly different dynamics of a university to the outside world are sure to provide opportunities for new kinds of firms to flourish. This was great to read for me.Thanks for this post.